Not all winter gardening jobs need to be done outdoors in the freezing cold. Some can be done in the shed and some in the office. Here are our top ten winter gardening jobs for indoors or outdoors. Even the hardiest of gardeners don’t always want to brave the winter weather. Some days though are just right for wrapping up warm and getting some work done. When it’s cold and gloomy outside, head for the shed (or the office) for some gardening essentials that don’t need to be done outdoors. In no particular order. Here are our top 10 suggestions for winter gardening jobs – with some bonus tasks thrown in – just in case you get bored. Just around Christmas we shut the french doors, close the curtains and stop looking at the space outside. When the curtains are opened again the floor underfoot has disappeared under a layer of slippery green goo. Now is the time to tackle the slime before it causes an accident. Trees add maturity to a garden, they can be used for screening, for colour, for wildlife habitat and for fruit production. Bare root specimens are available in winter for a much lower price than container grown trees. 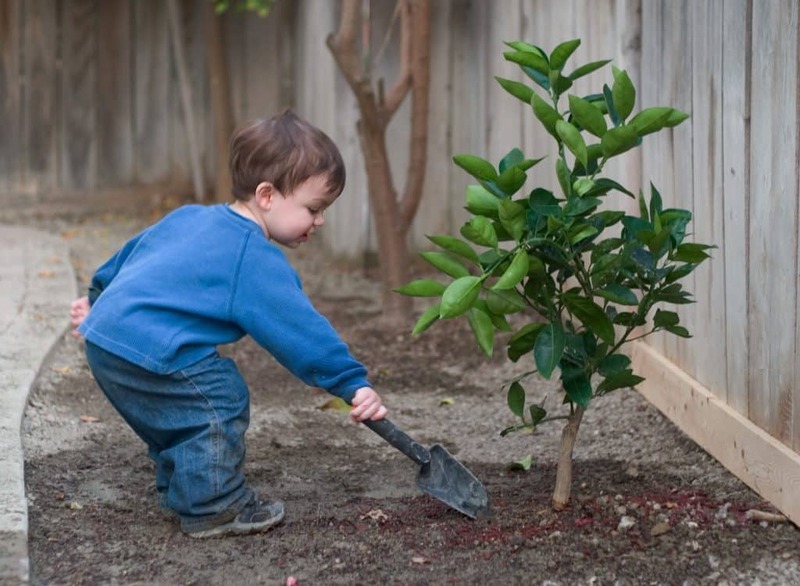 A tree planted in winter adds an extra dimension to your garden. From March onwards, I promise you’ll be checking it every day for signs of growth. After 19 years in the landscape industry I still get excited at the first signs of spring leaves appearing on the trees. One of my favourite winter gardening jobs is curling up in my armchair with the cat on my lap, the dogs at my feet, a nice hot cup of tea and a pile of seed catalogues. I like to see what new varieties of plants are available and I usually order a couple of packets to try. However, I nearly always end up ordering my old favourites like runner beans, courgettes, peppers and salad leaves. I can’t stress how important it is to keep garden tools in good condition. Blunt blades on cutting tools like secateurs can seriously damage plants. Dull spades are harder to dig with and ill-serviced power tools are a health and safety nightmare. When it’s too wet to be working in clients’ gardens, the team at Holland Landscapes will be checking and maintaining every piece of equipment we own. Number one tool maintenance job at this time of year is servicing the lawn mower. If you’re not confident enough to tackle it yourself, your local supplier or garden centre will probably be able to help for a moderate fee. 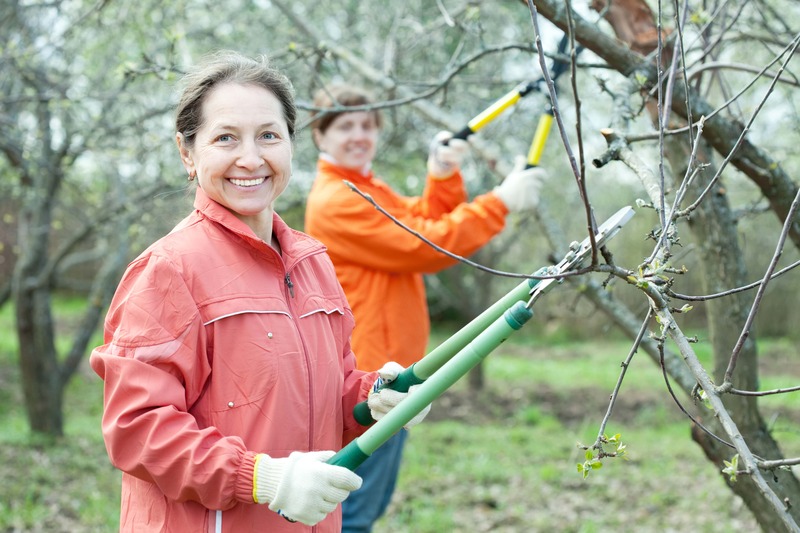 Now is a good time to prune trees, shrubs and roses. By cutting out unwanted growth whilst the plant is dormant, you reduce the risk of the wound “bleeding”. It’s easier to understand the shape and structure of the plant whilst it has no leaves. Plus winter pruned trees are less prone to disease. Start by cutting out any dead or diseased branches. Then start to improve the shape of the plant. Always use a sloping cut, just above a leaf node. Stand back from time to time and check your work. Pruning fruit trees is quite an art form. 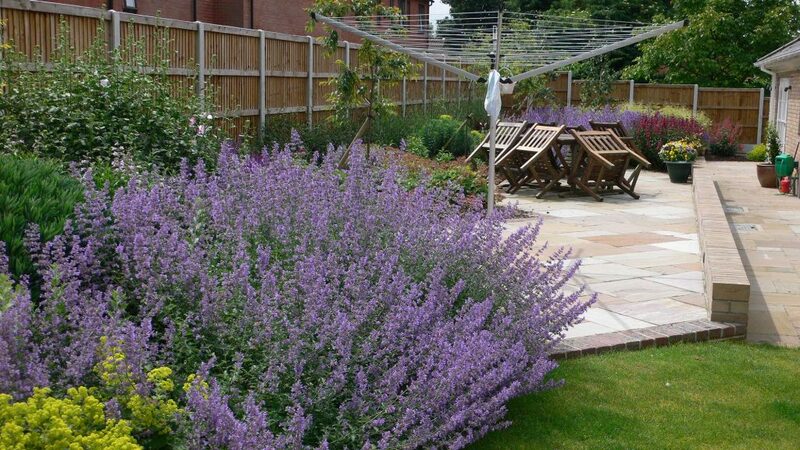 If you’re at all unsure, the team at Holland Landscapes offer one-off garden maintenance visits as well as maintenance training courses. I have yet to meet a gardener who doesn’t want to make any improvements to the planting scheme in their plot. Some want more colour for longer, some have overgrown borders that need radical maintenance, some want to refresh the colour scheme. Planning and refreshing borders is one of the most challenging but interesting winter gardening jobs. Draw a detailed plan to scale on a big piece of paper using colour if you can. 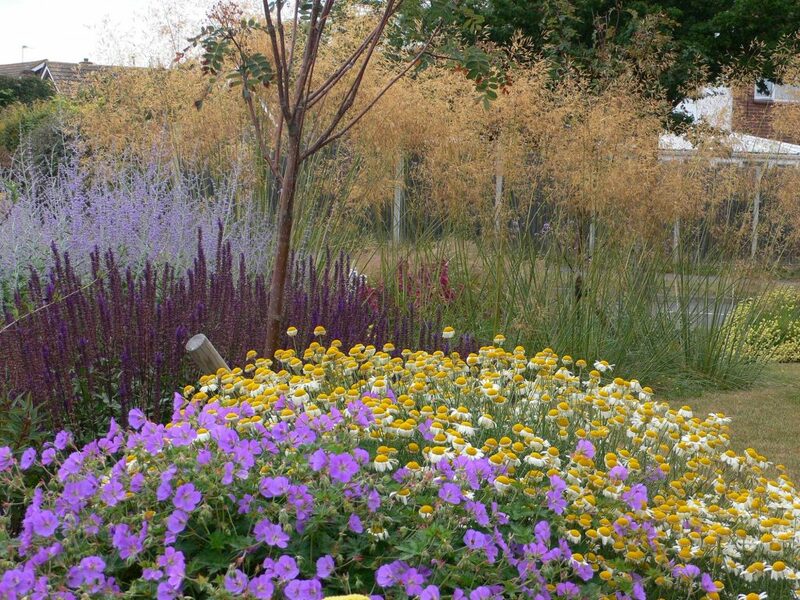 Think about the height and spread of the plants as well as colour, texture and flowering times. Beautiful planting schemes rarely happen by accident. They need thought and planning and there’s no better time of year to think about your beds and borders than in the quieter winter months. I always find that a good planting plan saves hours of trawling round the garden centre trying to decide what to buy. It also helps you avoid making impulse buys that really don’t help your cause. It never ceases to amaze me how something as simple as neatly trimmed lawn edges can look the whole garden look pristine. Don’t walk on the lawn if it’s frosty but this is an ideal job to tackle if you just have 5 or 10 minutes to spare – after all, you don’t need to do the whole lot in one go. Our native wildlife needs help all year round and there are lots of small things you can do in your garden to help. 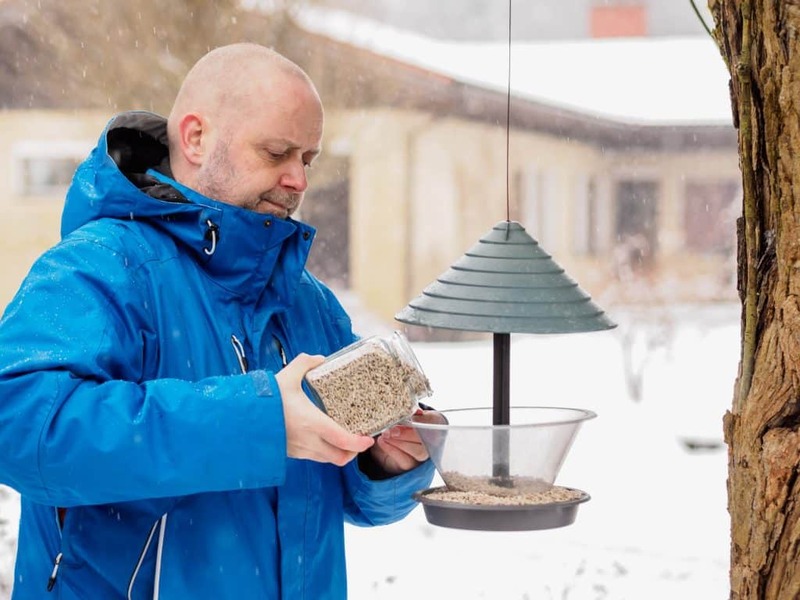 Putting food and water out for the birds is cheap and easy. Choosing plants that will supply pollen and nectar is a good way to attract butterflies and bees. And don’t forget to leave small gaps in the fence so that hedgehogs can travel from garden to garden. Why not learn more about the fascinating world of honey bees by taking a short course in beekeeping? West Norfolk Bees runs beekeeping taster sessions where you can learn about the lifecycle and the needs of these fascinating creatures. A great way to help you understand the ecology of your garden. You might be thinking about making some major changes in your garden as soon as the weather improves. Perhaps a new path, a patio or some raised beds for vegetable growing. Maybe you’ll go for a complete redesign. Whatever the project, I strongly advise plenty of research and prior planning – especially if you intend to ask a landscape contractor to help. Start early by discussing your plans with a reputable landscaper and getting a firm quote for the job. The sooner you get organised, the smoother the work will be. Finally, keep an eye on fencing and boundaries. At this time of year they are particularly prone to wind damage. Need a more secure fence? Landscapers are not just plantsmen you know….they are experts at building fences, planting hedges, putting in gates and installing security features. Winter time is the ideal time to secure the services of a landscape professional – once spring and summer arrive they’ll be super-busy and you may find yourself on a waiting list. A fence offers so much more than security and privacy. It’s a backdrop for planting and properly installed is a real asset to a garden.